About the Solar Seasonal Cycles linked to the Weather Cycles. About astro weather forecasting. The Sun's longitude is 340 degrees today, 25 03 18, which means Kerala is experiencing the hot, summer season. Temperature has gone upto 34 - 36 degrees. We have the hot months of Meena & Mesha before us. Acute potable water problem in many villages have been reported, due to poor water management. Kerala is in for big trouble, before Edava Pathi dawns on 29th May, when Sun's longitude becomes 45 degrees ! If you know your Moon you can know what the divine forces of Destiny have in store for you. 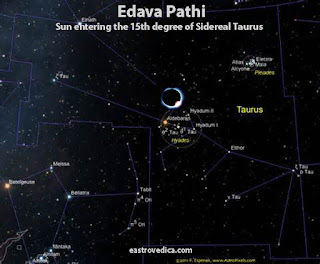 ( Info about Astro Meteorology at http://www.eastrovedica.com/html/vedicmeteorology.htm. How correct is the Kerala Calendar ! Edava Pathy, South West Monsoon starts ! Edava Pathy, South West Monsoon struck Kerala at about 0730 PM. Heavy rains and winds lashed Guruvayur at that time. 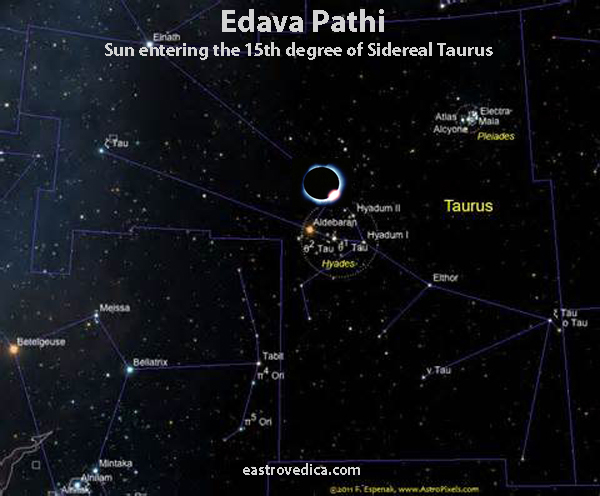 The Sun entered the 14th degree of Sidereal Taurus yesterday. And it rained at night, showing the accuracy of the Kerala Calendar. As I had lost my modem due to lightning last week, I put if off and left office at that time. Last week I lost 2 K, as lightning devastated my modem. In Kerala, the hot season has begun. 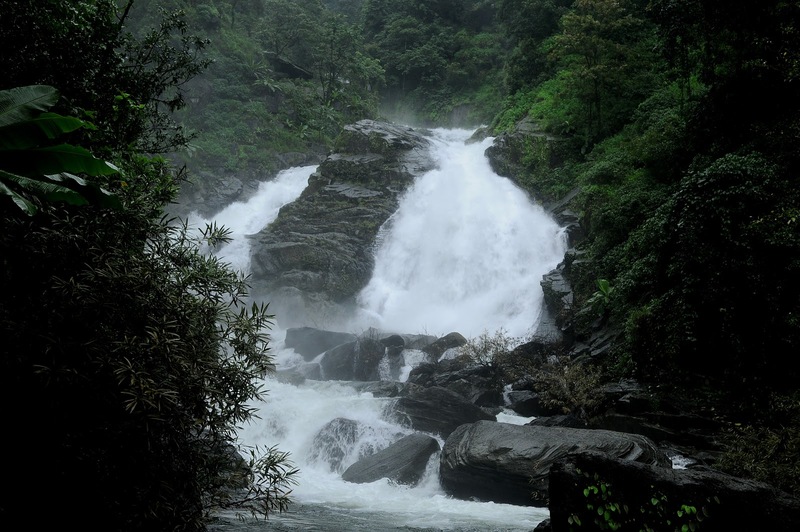 The sidereal month of Aquarius or Kumbha started on 13th Feb and Kerala is about to reel under a heat wave. Last year the death from sunstrokes was > 100 ! On 19th, Chathayam or Sathabhisha Njattuvela started and so we are ready for a hot phase. Kumbha Choodu and Meena Choodu are famous, as the earth becomes scorched due to lack of rains. Some summer rains can come, but they cannot sustain ! Till Edava Pathi or the Half of Taurus, we cannot expect major rains ! So a very hot season indicated till Vrishabha or Taurus ! Aridra Njattuvela also devastates ! The Dance of Destruction of the SW Monsoon continues. It is raining cats and dogs here in Guruvayur. Fishermen are warned not to venture into the sea and Trawling is banned. 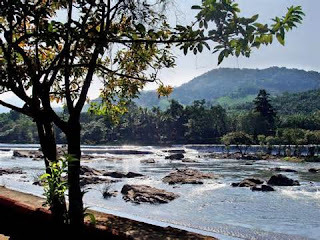 Now the Sun is transiting Aridra and this is known as Thiruvathira Njattuvela in Kerala. 10 days, 10 nights, meaning that there will be sufficient rains with sunny interludes. The Dance of Destruction done by the Head of Orion, Mriga Sira, the samhara thandava of Mriga Sira is gone, replaced by the still fierce Aridra or Roudra Njattuvela. Njayar means Sun and Velas are periods, meaning that they are the periods of the Sun. On 5 Jul, the Punarvasu Njattuvela will begin and on 19th, the Pushya Njattuvela. Have you heard of Tibetan and Zen Singing Bowls ? Nepal and Tibet are characterised by such magnificent handicraft masterpieces. The Himalayan Expanse, famous as the "Root of the World", is home to Mysticism Divine and to instruments of Meditation and Relaxation ! We at 3rd provide some of the finest handicrafts from the Roof Top of the World. Known to have profound religious significance for both Hinduism and Buddhism, these places are considered sacred by many. We feature many fair trade items from Asia including Malas, Clear Quartz Singing Bowls, Tibetan Prayer Flags, Tibetan Herbal Incense, Ceramic Singing Bowls, Tingsha Meditation Chimes, Gongs, Bells and Dorjes, Natural Handmade Soap, Mala Prayer Beads,Crystal Singing Bowls, Himalayan Salt Lamps, Spouting Bowls, Hand Carved Wood Masks, Himalayan Singing Bowls, Tibetan Singing Bowls, Yoga and Meditation Supplies, Himalayan Salt Lamps, Brass and Bronze Statues, Japanese Singing Bowls and many other unique handicrafts at wholesale prices. Aridra or Thiruvathira Njattuvela, the Solar Transit of Alpha Orionis, begins today. Mrigasira, which concluded tooday, was fraught with devastation. Mrigasira is ruled by the fiery Mars and hence the destruction ! We pray for the victims of Kedarnath tragedy. It is said that the astrologer is wise after the event, even though he can discern the heavenly signs ! Now Aridra is Roudra, another fiery constellation and the destructive aspect of the South West Monsoon can still wreak havoc. We are de-Anaxagorasing our prayers. May not the SWM wreak destruction and may not the Monsoon Fury affect the overpopulated Indian subcontinent and the whole world ! NE Monsoon graces Kerala !